The Age of Innocence is a limited edition canvas art print series that celebrates the bonds of family and childhood. Each of the three canvas art prints in this series is available in a limited edition of 20 individually numbered pieces. All three utilize the same modern pastel color palette, but the series as a whole pays homage to the Japanese woodblock prints and the Ukiyo-e style. 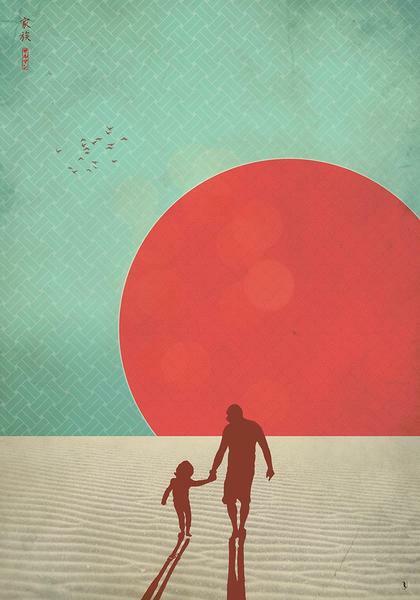 Red Moon–the first art print of the series, is inspired by the bonds between a father and their child. In a moment of solitude and adventure, they make memories that they will cherish forever, and further strength their family bond. 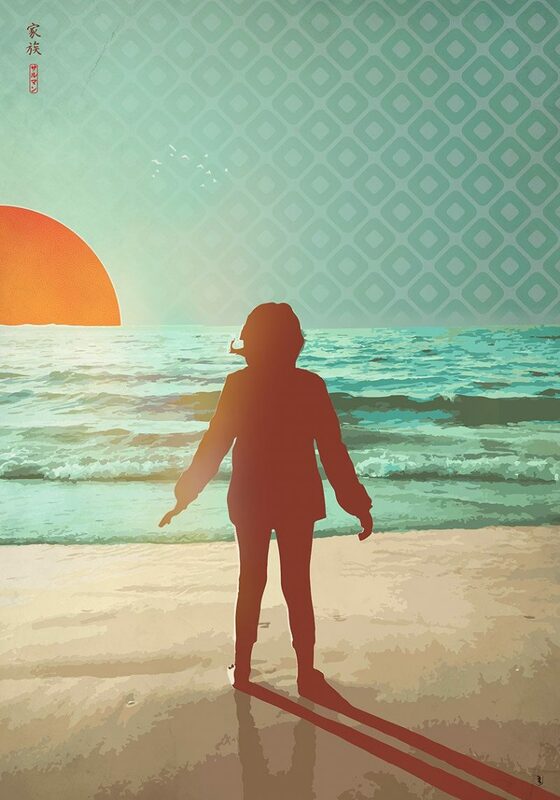 Seaside–the second art print of the series focuses on child having an experience for the first time. On a beach, a child feels the cool foamy sea water inundate her feet from a wave, and then recede taking some of the sand around her feet with it, back into the ocean. 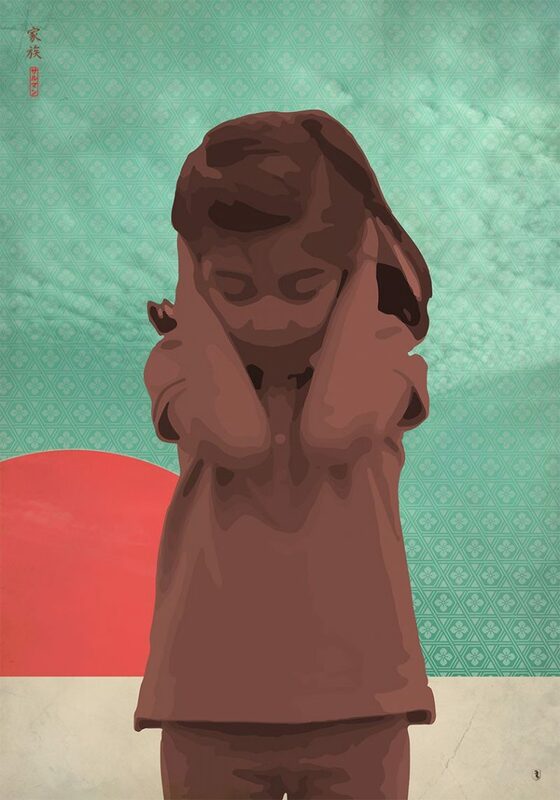 Tune Out–the final art print of the series ponders on the purity of innocence in childhood, and the undeniable fact that as we grow into adults, we too often substitute our unconditional love for others with bias. Each version is printed on canvas with archival inks and stretched on a wood frame ready to hand or alternatively can be available to be shipped rolled in a cardboard tube.